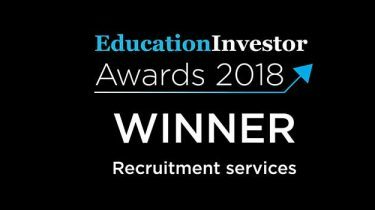 Teach In, winner of the 2018 Education Investor Award for Best Recruitment Supplier, has partnered with Whole Education. Whole Education are a dynamic network of schools committed to delivering an engaging and rounded education that supports academic achievement, as well as developing the skills, knowledge and qualities needed to flourish in life, learning and work. As a strategic partner of Whole Education with over 20 years’ experience in the sector, Teach In continues to with a consultative recruitment service that they can trust. Its core educational purpose is to work with schools to provide access to quality educational staff that fit their culture, ethos and context and to assist them with the retention of high calibre staff. The dynamic and collaborative approach that both Teach In and Whole Education champion with schools significantly enhances the ongoing dialogue about how schools can thrive and deliver the best education they can to every student in their community. They are committed to supporting schools in their quest to find staff who share this vision and to signposting the Whole Education offering to schools, enabling its members to take learning beyond the national curriculum to deliver a ‘whole education’.